A 3-year-old girl hands out crayons one at a time to her tablemates as if they were her own property — keeping the box close by her side and deciding which colors others will use. Scenes like this are common in preschool, where young children are learning how to be away from parents and how to navigate social situations on their own. 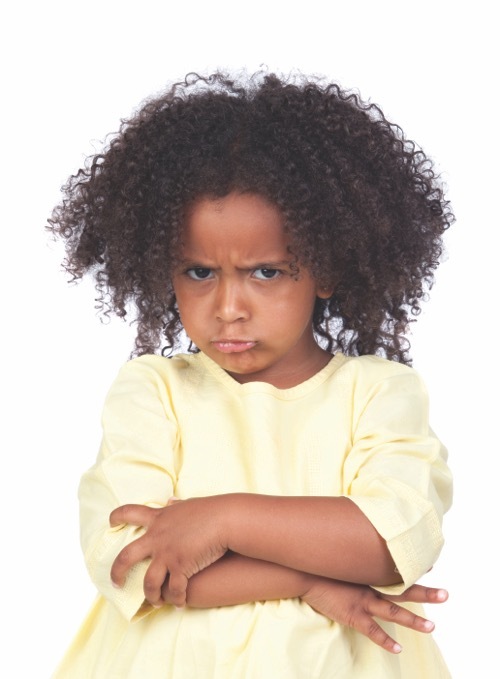 Behavior is how young children communicate emotions they haven’t learned to recognize and express through words. But too often, attempts to correct troubling behavior only address the impact on others — without considering the feelings driving the perpetrator. That child may understand what he or she has done wrong, but not why. Left alone with unrecognized emotions, children miss out on the more important lesson: that they can make themselves feel good by mastering their strong feelings, rather than acting out on them. When the underlying emotions are addressed, children typically become eager and receptive partners in finding better ways to express themselves. Here are some of the more common behaviors that arise in preschool, and what they mean. It’s hard to be little and have no control over things like bedtime, whether to take a bath, sharing with siblings and where to sit in school. Preschool-age children may try to turn the tables by taking control wherever they can — creating struggles over daily routines like bedtime, or by being bossy in school. This can be addressed by helping children recognize that nobody can be in control of everything; even Mommy and Daddy can’t boss the clock. It will make them feel better to be good bosses of themselves; they can’t choose their bedtime, but they can choose whether to change into PJs or brush their teeth first. At school, they can choose not to take away decisions from the other children. It takes time and repeated reminders, but eventually they learn that they can choose not to let their feelings of being little or angry boss them around. Preschool children are busy figuring out how their bodies work, but they aren’t sure yet what can and can’t happen. Upon hearing about someone with a broken arm, a child might relate it to the arm that broke off a doll or action figure, and had to be thrown away. These concerns apply to small cuts and scrapes, too. They don’t know how the body heals, and may fill in the missing information by thinking the Band-Aid has important healing powers. By being sensitive to these anxieties, parents can help children find answers to their concerns a little bit at a time. They can clarify that broken bones heal and arms don’t fall off; and join the child in noticing how his or her cut is healing while putting on a fresh Band-Aid each day. In preschool, children become increasingly aware of themselves in relationship to others, and they begin comparing. They notice all the differences in relation to grownups and peers, and worry that they don’t measure up. They imagine that having more, being first and winning will make them more adequate. As children become more aware of the world outside themselves, they also become more aware that their parents have an exclusive relationship. They may feel left out of this different kind of bond. So at school, when children are suddenly on their own to make friends, it’s common to act out their feelings from home by creating their own special relationship that leaves out a third child. It’s helpful to talk with them about their left-out feelings, and offer reassurance that it’s possible to like or love more than one person at the same time. Taking time to understand and acknowledge the feelings can come as a big relief to everyone. Developmentally, children at this age are only beginning to understand that other people have feelings. So when another playmate gets left out, gently relating your child’s own feelings to those of the playmate is helpful — not only in correcting the behavior but also in supporting the development of empathy and kindness. Barbara Streeter, MS, LPCC, is education director at Hanna Perkins School. Hanna Perkins offers a school, mental health clinic, parent guidance and other services to support healthy emotional development in children for success in school and life. Previous article Is Your Child Ready to Stay Home Alone?